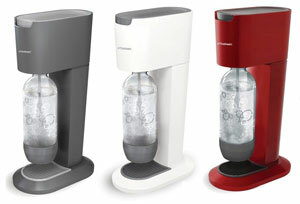 Enjoy the freedom of making your own sparkling drinks in just seconds, with the SodaStream Genesis home soda maker. Powered by a reusable CO2 carbonator, the refined mechanics of the SodaStream Genesis make it easy to quickly transform water into perfectly customized sparkling drinks. No more lugging. No more storing. No more plastic waste. Note, SodaStream flavors DO NOT CONTAIN HIGH-FRUCTOSE CORN SYRUP OR ASPERTAME, resulting in better-for-you sparkling drinks with fewer calories and carbs than store-bought equivalents. 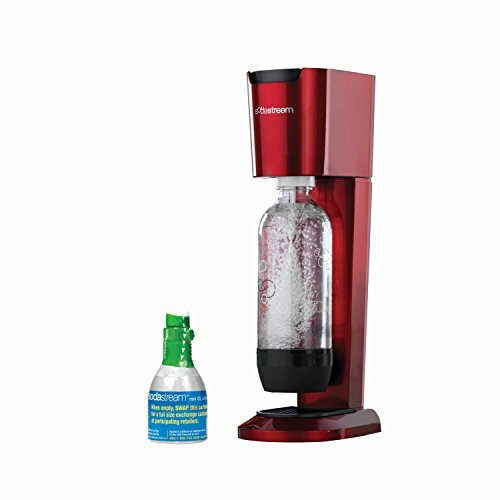 In addition to regular and diet versions of many traditional soda flavors, refreshing fruit flavors, energy drinks and cocktail mixes, SodaStream also offers a variety of all-natural flavors, caffeine-free flavors and unsweetened natural MyWater essences. 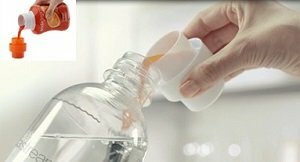 Place SodaStream’s signature fizz-preserving bottle cap on your soda bottle and tighten. Gently roll or shake the bottle to ensure the sodamix is thoroughly combined with the carbonated water. Allow to settle for a few moments (now would be a good time to prepare your drinking glasses and garnishes!) and carefully uncap. Pro Tip: you may find that – after having shaken your soda – it may be extra-fizzy as you open the bottle. Try twisting the cap a quarter-turn to release pressure, and then quickly tighten again before opening all the way. 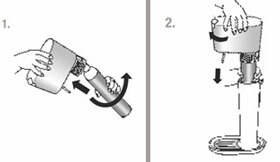 ** This quick-start guide is not a substitution for the full instruction manual. Please read your soda maker’s instruction manual carefully before first use.